Our staff at all levels of management bring ample experience, care and energy to our mission and our communities. We are grateful to have so many hands pulling together to build More Than a Home for our residents. Below you will find contact information for both executive and corporate staff members. Don Stump - President & C.E.O. 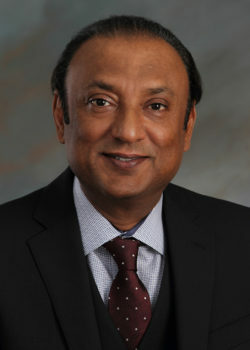 He joined the organization in 1979 and has served the organization for more than three decades. He enjoys a unique background and an unusual ability to blend the multiple disciplines required to effectively operate a broad and diverse organization. Don completed his undergraduate degree at Phillips University in Enid, Oklahoma and his master’s degree from Oklahoma State University. He is also a Certified Property Manager. 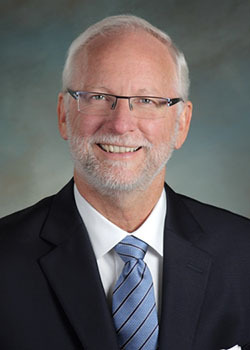 He has taught many workshops, seminars and classes on affordable housing and has received multiple honors including the National Affordable Housing Management Association’s (NAHMA) “Pioneer in Affordable Housing” and the Affordable Housing Management Association’s (AHMA) coveted “Pamela E. Stroud” award for leadership in the field. Syd is a seasoned player in affordable housing in California with experience in multi-layered financing, ownership structures, and reporting responsibilities. He is well known to CCH having worked with us as a consultant on several of our current major projects around the state. He has been the CFO for two other major nonprofit players in the immediate bay area and has existing relationships with HUD, lenders, various investors and asset managers. His education includes a Bachelors in Accounting and Masters in Economics and he is a member of the Institute of Management Accountants. Nicole joined CCH in April of 2017. She has 20 years of experience in real estate development, affordable housing, construction administration, project management, economic development and legal matters. As a former practicing attorney, Nicole has a demonstrated ability to anticipate and resolve problems swiftly and independently transforming strategic plans into successful solutions. She is an expert communicator and negotiator who excels at problem-solving and completing projects on time and under budget. Nicole spent 12 years of her career as a Project Manager and Owner’s Representative for multi-family and affordable housing development projects during the pre-development, land development and construction phases. As V.P. of Real Estate Development, Nicole is responsible for overseeing and coordinating all aspects of housing development, including but not limited to feasibility analysis, entitlements, funding applications, due diligence, contract negotiations, construction management, and turn over to occupancy. 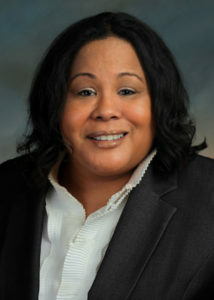 She also serves as a member of the Housing Development Committee. She holds a Masters degree in Real Estate Development, as well as a Juris Doctorate degree, and she is an active member of the California State Bar.